Getting the best deal on Jumbo loan rates is always a concern with many veterans. The biggest problem with trying to take out a jumbo loan is that you get a whole bunch of numbers, details, and facts thrown at you. We get it—mortgage transactions can be difficult. You might feel like you need a translator to decipher all the technical talk. Have you heard the little disclaimers at the end of radio commercials? You know what I’m talking about. The end of the commercial where the announcer speaks about fifty times faster than is humanly possible. Understanding how loans work is a little like that. Once you think you have everything figured out and you know which loan will work for you, the figures come back and nothing seems to add up. You can’t help wondering if your lender is being completely honest. Well the good news this doesn’t have to be so confusing. We’re here to help make this process as easy as possible. In understanding the jumbo loan, first take the rates one step at a time. Knowing what’s out there and which rates you qualify for will be a big help in educating yourself about what to expect with your loan. 2008 gave the housing market a good beating, but in the years since then, the market has evened out again and so have rates. It’s standard for jumbo loans to have higher mortgages than conforming loans since they come with a lot of risk. Very recently, however, this hasn’t been the case. In fact, non-conforming loans have actually had lower rates. Purchasing those higher-priced homes just became a lot more appealing. And affordable. So what does the future look like? It can be hard to accurately gauge these sorts of things, but consumers predict an increase coming in the next year. Interest probably won’t skyrocket, but it’s good to think ahead. If you are considering purchasing a new home with a jumbo loan, don’t hesitate. The terms just will not be this good forever. Some online sites offer rates calculators that will actually let you enter in your individual information to see which jumbo rates you qualify for. Super helpful, right? Of course, discussing numbers and goals with a qualified loan officer will give you the most accurate expectations. Your credit score influences which rates you qualify for, a lot. For jumbo loans, this score must be even higher than regular conforming loans before lenders will even consider approving you. Most look for scores around 700. If you don’t quite reach this number, don’t worry, this is just an estimate. The VA does have its own specific requirements for credit, but it is far more forgiving, and it takes your past repayment history into account more. That means it is possible to get a loan with a lower credit score, although your interest rates will still be affected. Adjustable vs. Fixed: Is One Really Better than the Other? Jumbo mortgages come in many forms. You can choose adjustable or fixed mortgages and there are benefits to both. There are many adjustable rates that give you the option of having APR change at various increments. If a hybrid would be more profitable for you (where the APR stays fixed for a certain amount of time at the beginning), we have that too. You can read more about types of mortgages and the details regarding each of them on our site. Jumbo loans really are a sweet deal, and for getting your hands on those higher-priced homes, they really are the only option. Contact us with any questions or concerns you have about the jumbo loan. We’d love to help. 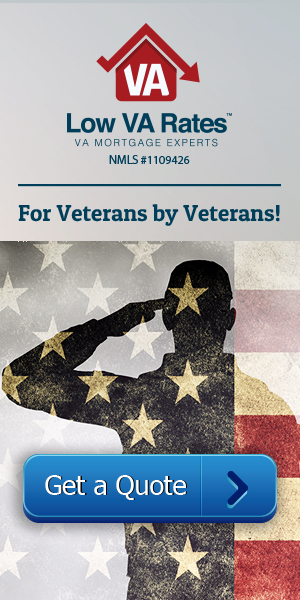 Call us today for more information on VA Jumbo Loan Rates at 866-569-8272.